First, there’s the adequate handling of the necessary equipment or the knowledge of the necessary equipment to use. A chainsaw, for example, is more difficult or complicated to handle than it usually appears. To avoid causing damage to the saw, the tree, and, of course, you, the services of a tree removal expert should be sought. Use of ladders while working on your tree is a tricky affair. Too long or too short the ladder might spell danger for the unwary tree cutter. Many ladder related fatalities occur this way. Also, while climbing the tree using a ladder or not, some branches appear sturdy and safe to stand on but are in fact rotten and dangerous to do so. This can lead to falls that result in severe injuries and sometimes death. Why not let the expert do it? As easy as the activity may seem, a lot of calculation and strategizing go into successfully removing a tree without causing any damage to surrounding properties. Surveying of the surrounding environment is important to know where utility lines are stationed and where is most suitable to direct the falling of the tree. There is a high chance that a non-expert will miss locating appropriate overhead electrical wires as well as other conductors. To avoid electrocution or damage of the electricity company’s property, hiring an arborist is the best thing to do. Walls, fences, and entire buildings risk destruction in your hands when you decide to do the tree business by yourself. A wrongly cut branch here, a wrongly directed falling of the tree there, could lead to so catastrophic a damage you’d wish you had paid for the services of a professional. Why stress yourself with all the complex processes involved in mastering the proper use of tree removing tools? Why risk the safety of life and limb? Why risk creating extra high expenses from property damage by doing the dangerous task? When you can call on the services of a tree removal expert? According to the U.S. Census of Fatal Occupational Injuries, 1,285 tree maintenance worker deaths occurred from 1992-2007. Professionals are familiar with the risks involved in the tree servicing industry. This is why the experts are the advisable option when you need to prune, lop or remove the in or around your property. Leave the risk to them and chill. It’s their job anyway. They will always find the right way around the tree. When it comes to putting off dangerous branches from trees which might be too close to your private home, automobile or powerlines, otherwise you virtually want to have some trees removed to put in a pool or landscape for your outdoor; choosing the proper tree and stump service company may be very vital. How will you be able to grow a tree on your backyard if you do no longer have the proper information to achieve this? Here is what you want to recognize approximately tree carrier providers: First, recognise that there are two forms of tree service companies. The first is the type you want to do business with because they’re specialists who’re fully insured and have the state-of-the-art devices to make the activity more secure and less complicated. They are properly trained arborists who recognize that lopping a tree has one of a kind meanings. They offer services that are not destructive to bushes and ensure that your moves are inside the provisions of the regulation. The second is the ‘decrease again-outdoor’ operators who aren’t insured. Normally they can offer their services at a completely decreased rate and makes use of antique hazardous gadgets. An proper tree and stump removal service such as Arbor Pro – Tree Removal Melbourne will provide you services that isn’t always simply tree chopping including: Land clearing, stump grinding and removal, trimming, pruning, widespread elimination and even emergency cleanup. They are also properly knowledgeable on excellent practices in terms of tree and backyard care combined with robust information of dependable and at ease tree services targeted on lowering the chance of injuries or harm. Before making a decision on which tree and stump carrier issuer to use to lop your bushes, take the time to exercise session exactly what you want a tree provider provider to do for you. Some of the most commonplace vicinity trees have issues are lifeless timber and branches, tree roots & doubtlessly unsafe or messy bushes. Regardless of the different names bore by different tree services, all of them offer relatively similar services. Although most of these companies are highly reputable and offer top notch services, there are a lot of incompetent outfits posing as professionals in the industry. Do They Have Certified Arborists? The first you want to know is if their workers are expert arborists. 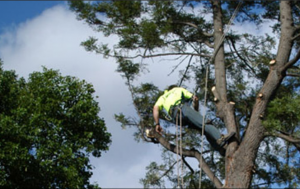 Arborists are certified tree experts and reputable tree services employ these professionals. Next, you want to be sure that the company is licensed and bonded. Depending on the local laws guiding your area, service providers are required to have one or more business licenses. You may want to inquire from your local authority the license required of tree service companies. Also, you want to be sure that the tree service is bonded. A surety bond is required of every legitimate service provider. This certifies their insurance cover, and the insurance company will compensate you for any damage done to your property during their operations. Hence, a legitimate service will always have this to gain their customers’ trust – ask for it. Have in mind that your cover may not have provision for damages caused by an unbonded service provider. Worse still, you could be up for some extra bills if, during their operations, an unbonded company destroys the property of a neighbor. Hence you do not want to leave out this item on your checklist. Looking foward to becoming an arborist in australia, please click the link! Do They Have Recognized Qualifications? Again, knowing the qualifications of the company could save you from having your job messed up. Crave to know the number of years they have spent in the business and the nature of their experience. Also, find out if they have any added certification or specialization. It would also be a perfect idea to demand references. Professional companies will be glad to offer you a list of their satisfied customers. You may want to discuss with them to hear what they have to say about their experience with the company. If a company does not provide references, something could be fishy – simply wish them good luck and try the next company. How Many Years Have They Served Within Your Community? Get to know how long they have been servicing people in the locality. This question is necessary because a lot of companies are fond of moving from one location to another, leaving behind a hip of unresolved complaints and issues with customers. They move to a new area where their negative reviews are not known, taking undue advantage of the ignorance of the residents. Beware of services that do not have a permanent address and a reputation within your locality. Do They Offer Free Estimates and Consultations? Be bold to ask for free quotes. Professional tree service companies will willingly send an expert to visit your property and offer you a free estimate. Most professional firms will also offer you free consultations. During their visit, feel free to discuss with them; this will give you some extra info about their services before you hire them. At first, it can seem like tree lopping gives a lot of advantages to homeowners. Tree lopping is the procedure of trimming a variety of sections of a tree. As a result of its temporary nature, tree lopping can likewise be an extremely expensive kind of tree maintenance. Tree lopping may offer immediate and noticeable outcomes, but like the advantages that it provides, it’s also quite much short-lived. Tree lopping is among the many kinds of tree maintenance that’s commonly related to arborists. In such cases, it’s imperative that tree lopping be performed to conserve the structure of your property in addition to the well-being of the tree. Incorrect tree lopping can place your safety in danger and may damage the tree. Tree removal needs to be performed by professionals as several things can fail if not accomplished correctly. Although sad, it is sometimes necessary to protect the land or buildings. Inside this scenario, total removal of the palm tree is a good idea to be sure the protection of people first. Whenever you are pruning the tree make certain that all the cuts are created beyond the branch collar. Appropriate pruning, for instance, can shape and structure your tree just in addition to tree lopping can. Periodical pruning is necessary to provide the tree an ideal form and regulate its form and size. Whenever you are pruning you have to be careful as it’s simple to damage a tree permanently if you lop off a big branch or make a poor cut. If you are not certain whether you will damage or kill your tree, then don’t hesitate to get in touch with a local professional in your town. It permits you to provide the tree a completely different form. The tree should put out a new crop of leaves whenever possible. If you’d like to keep your trees please talk to us about regular visits, and therefore you don’t figure out the hard way a massive branch is a threat to your house or loved ones. Everyone understands our street trees have to be pruned, for public safety. There’s a solution for each tree. In many of instances, the tree can be transported to the essential destination with no additional charges. Your tree is going to be protected by three unique lines of defence along with the Treems personal guarantee. Lopped trees tend toward breaking and can be hazardous. Whether you’re interested in removing unwanted trees, or in assembling a continuing tree and garden maintenance program, we’d be happy to work closely with you to make a customised service package to fit your wants, schedule and price range. Nowadays, the least expensive tree lopping Sydney services are offered at reasonable rates. You might want to think about taking away the tree completely and starting again. Land-lease contracts to guarantee charge of the property your tree is situated on. Sooner or later, tree trimming can lead to death, but it could also maintain life when performed under the most suitable circumstances. If you’re working with trees and plants, it is critical that you get the most suitable shears. While trees are predicted to supply shade especially during summer, very low undergrowth ought to be pruned for safety reasons. Managing trees isn’t easy if they’re leafing, sapping or in the event the trunk cracks. If you eliminate the trees you eliminate the rainfall. Stump removal isn’t effortless. Therefore, it becomes essential. It can be a tricky process, removing the tree itself is one thing, but the stump and the roots can be a more challenging job. There are various procedures of tree stump removal that has been discussed above. Bearing that in mind, below are some frequent stump removal procedures. Discover how this technique of stump removal works. Since it is a more economical thing to do, chemical stump removal is also acceptable for those who must get rid of several tree stumps. When you decide you would like to do away with a stump permanently, give us a call. Before deciding how to get rid of a stump from your premises, it’s an excellent idea to know about the simpler stump removal methods that are still designed to deliver optimal outcomes. There are many methods used to eliminate tree stumps. If you prefer to knock out the stump by means of a removal method that doesn’t require labour, but is also faster, you can choose to burn the stump away. If you prefer to eliminate the stump once possible, you might want to take into account a burn method. It is perfect for people who don’t have to eliminate their stumps immediately and don’t want to set a lot of work into removing a stump. There are many ways of removing tree stumps. There are numerous methods to eliminate tree stumps on residential or business properties, a few of which are even natural. The stump gets spongy and can be taken away easily with the assistance of an axe. Read on to take a better look at all the options you have in regards to eliminating tree stumps once and for all. In case you have a couple of tree stumps in your lawn, and you’re not enjoying their physical appearance, there are many techniques you can try in removing or decorating them so your lawn looks nicer. Review the item info and the form of stumps you wish to eliminate. Stump grinding has several big benefits over all the several stump removal procedures. Aside from the approaches described previously can shed the stump from the ground. There are a number of strategies to eliminate tree stumps. 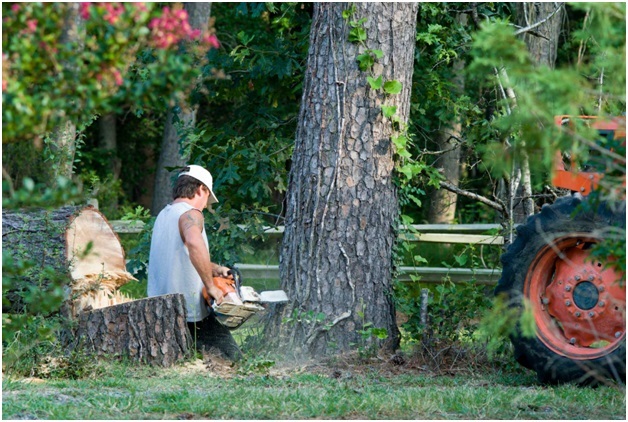 Whenever you are removing the tree stumps, you ought to take extra precaution to make certain your safety. If itas allowed in your region, you could also have the ability to burn your previous tree stumps. Stumps can be extremely unsightly. It’s not only the stump itself you need to worry about either. Aside from the approaches described previously could shed the stump from the ground. If you are not sure how to do away with your stump, don’t hesitate to contact our team today. Grinding Method Stump grinding is a powerful removal technique which should only be done by trained experts. The most frequent sort of stump removal process is stump grinding. In under a couple of hours, your stump is going to be reduced to wood chips you may use as mulch for your flowerbeds. Grinding a stump really isn’t the exact same as stump removal. On the opposite hand, it’s far more viable to get rid of a little stump by hand. If you don’t have only a few fairly compact stumps, we advise that you employ a professional, such as an excavating company, to eliminate the stumps.